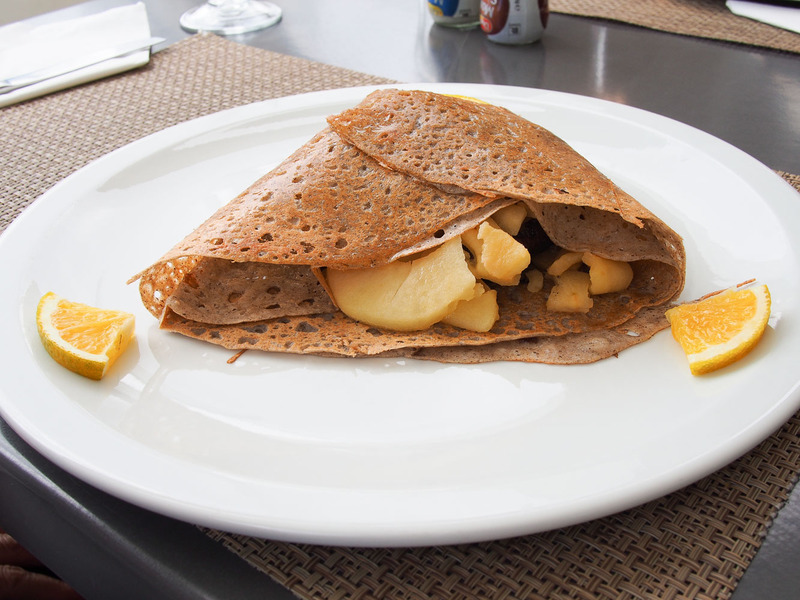 We sneak in a final cheeky lunch at La Gavotte, crepes and Breton style galettes by the water in Baie des Citrons. A light lunch in theory at least, after a week of meat and cream. 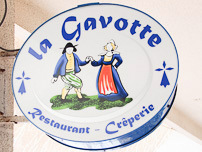 La Gavotte has a menu of just about every French style filling you can think of, savoury, extremely smelly or fruity and sweet. 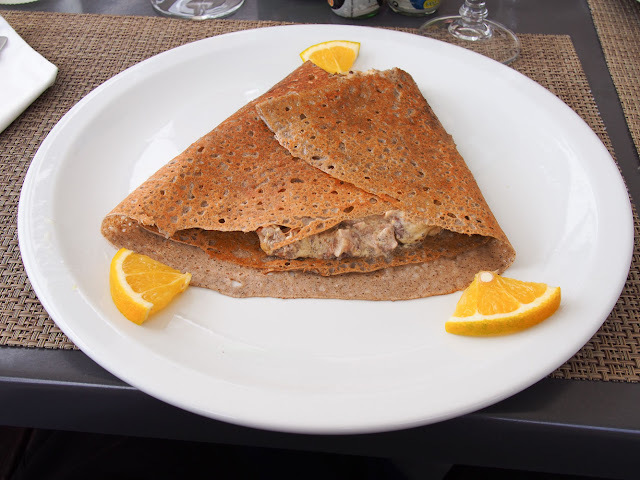 Specialising in the Breton buckwheat galettes or the lighter fluffier crepes typical of street stands in Paris, there's a level of light or heavy for every stomach need. 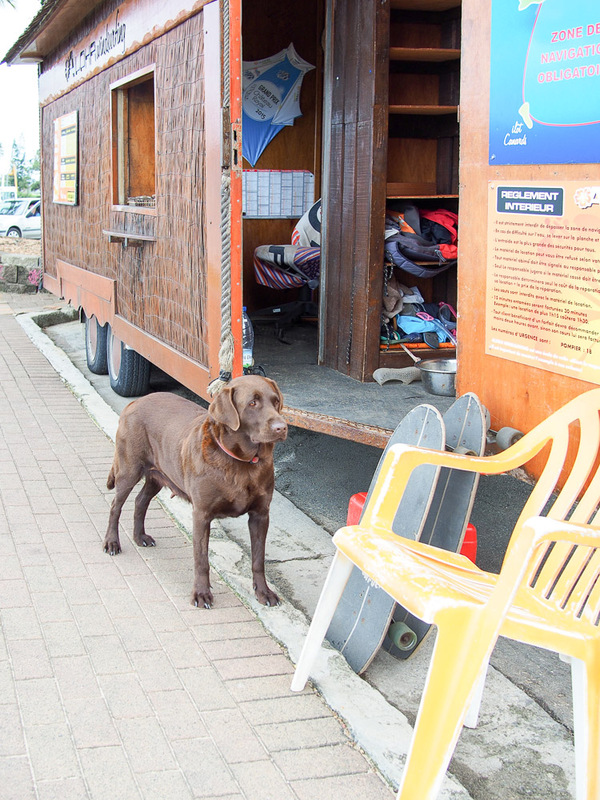 A walk around the bay at Anse Vata to Baie des Citrons isn't complete unless we spy this chocolate lab who hangs out at the windsurfing stalls. He's sporadically friendly, it just depends on his mood or levels of doggie ennui. One of the first places you hit as you come into Baie des Citrons from Anse Vata, it's not hard to find (just ask the labrador for directions, but he only speaks French). 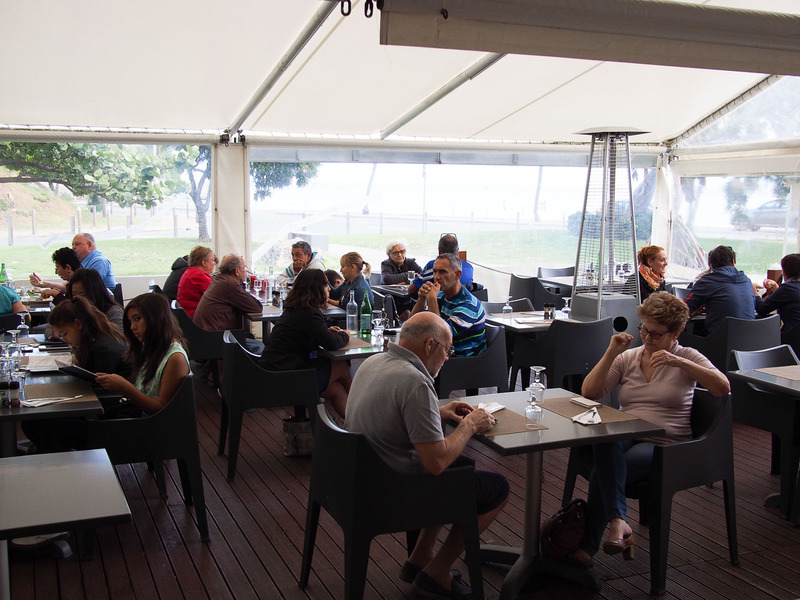 La Gavotte has a large sheltered eating area typical of most of the eateries along the bay. 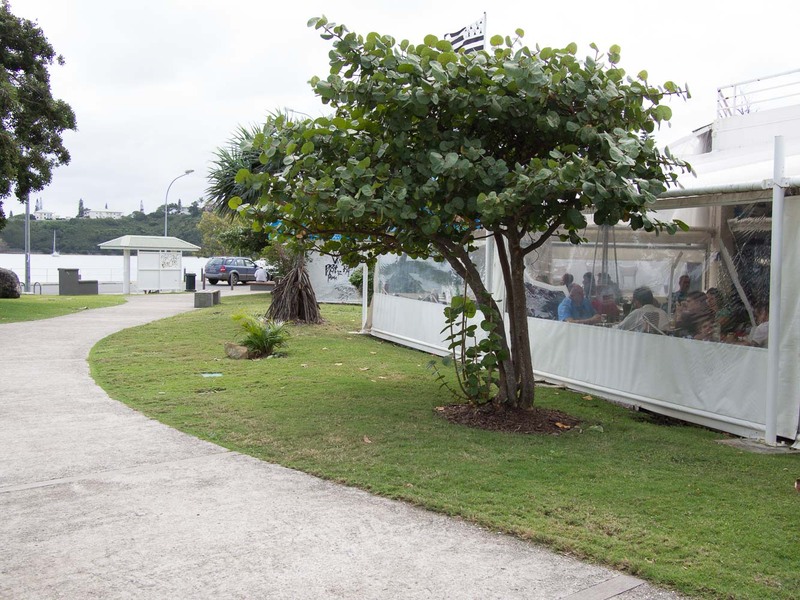 These places are really built so you can enjoy the view, its part of the Noumea lifestyle that makes it so laid back. 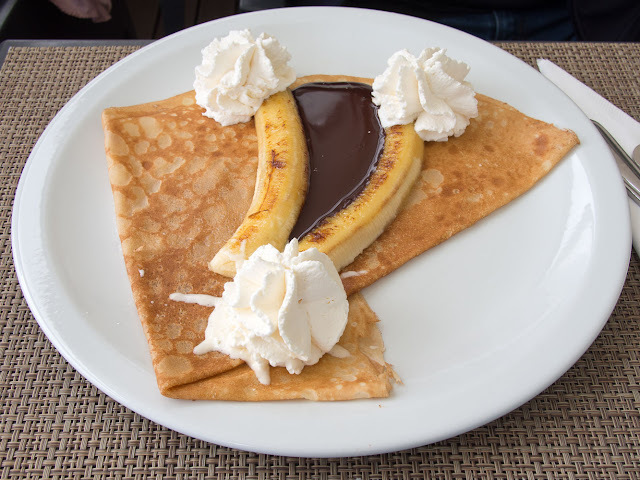 There's a mood to order right across the levels of super sweet to super smelly, starting with a chocolate and banana crepe which comes out exactly as advertised. The banana is grilled with a little sugar to caramelise, with piped florettes of chantilly cream for a luscious bonus. 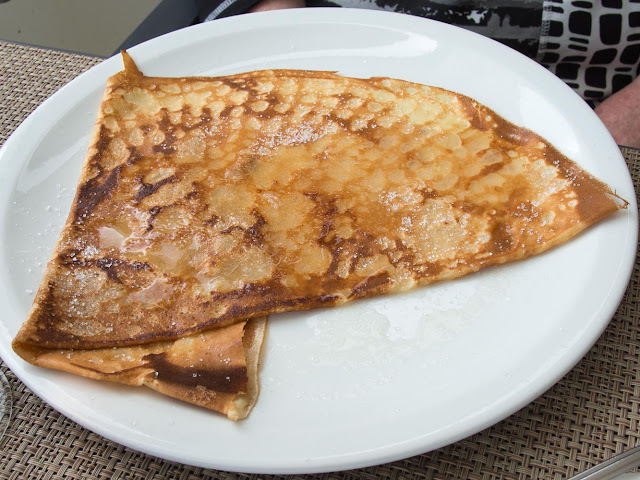 Slightly down on the sweet scale a simple lemon and sugar crepe, always hard to beat. 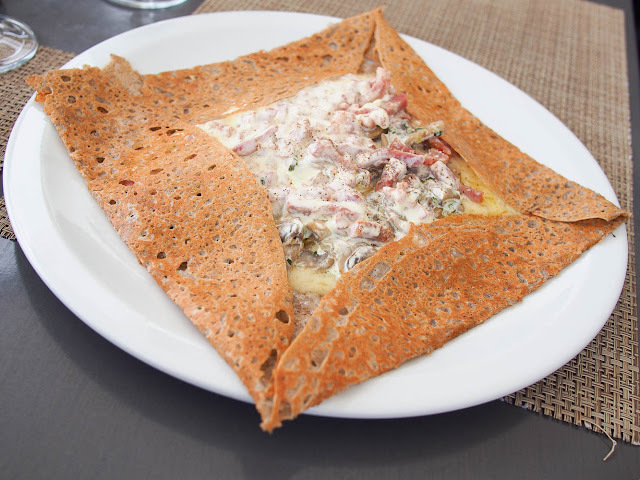 Ramping back up the savoury stakes was a bacon, cheese, cream galette, like carbonara in a crepe, good and rich. 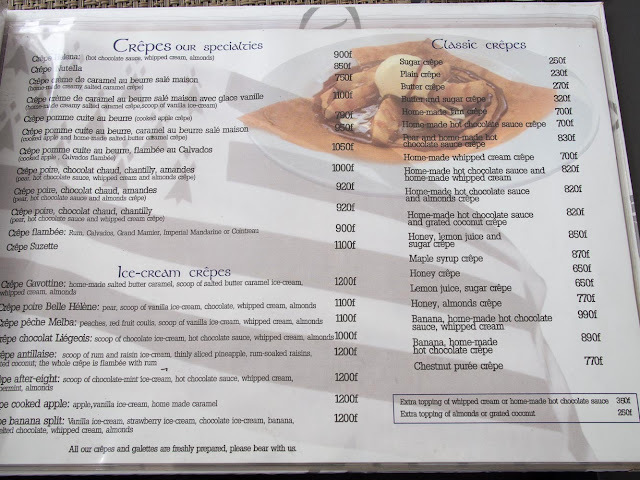 We generally don't have a lot of luck with this style of creamy sauce in Noumea, it's good although homely in style when we're looking for some cheffy magic. Perhaps is because fresh cream is scarce in these parts and they use a lot of UHT to substitute and they lack the breadth of fresh mushrooms found in old Paree, we're not sure. There's some regret from Shawn with an order of andouillette galette. 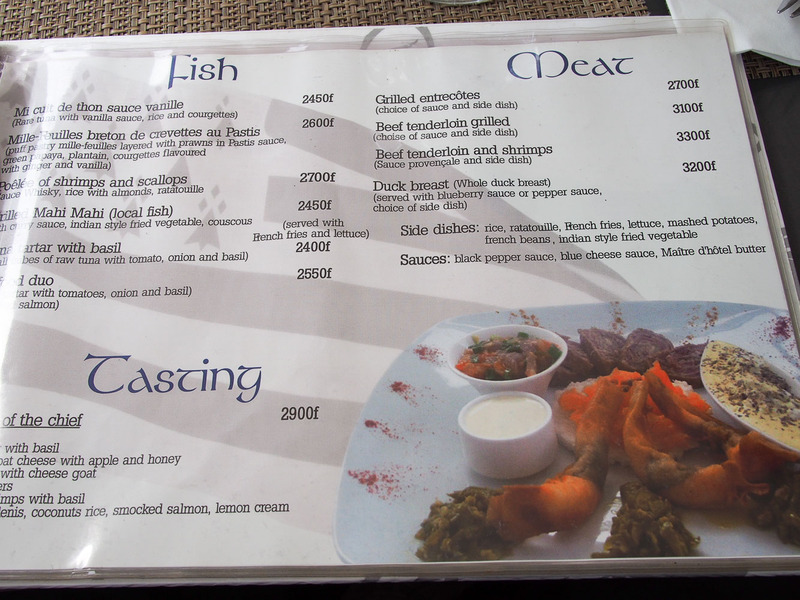 It looks like vomit, smells like poo, though it tastes good if you're a lover of tripe like us. This one however is heavy handed on the salt which overpowers the mustard sauce and intestinal wonders, a good dish that could have been great. In hindsight we should have ordered a salad to go with it, it could have worked wonders to balance out the tripey, salty heaviness. Inside shot. 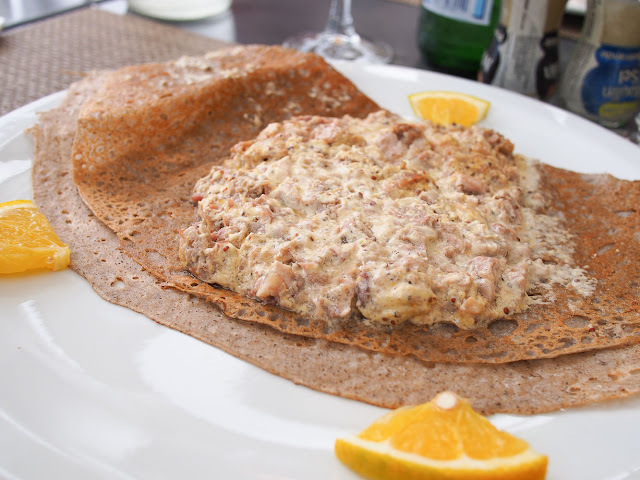 Like vomit, oui? We wish we had smell-o-vision on the blog to give you the full experience. 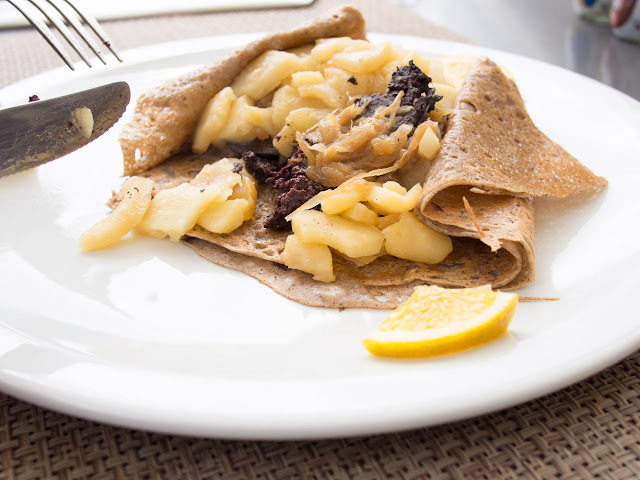 Alison's picks the winner, a galette filled with slices of black sausage and semi sweet stewed apple, a lively winning combo. 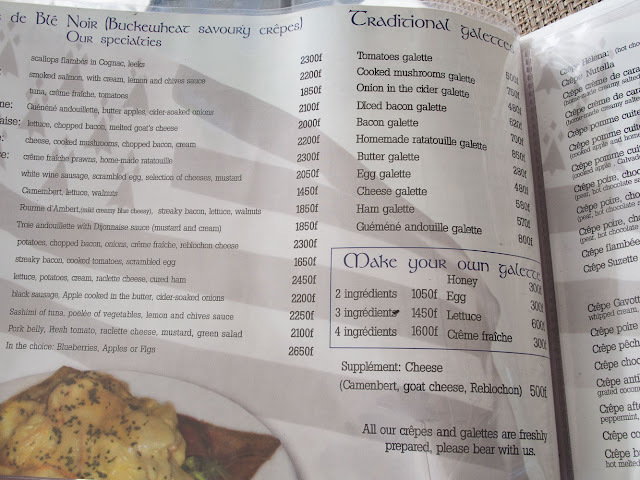 There was another option of foie gras, which Shawn spent the rest of the lunch muttering about wishing he had ordered under his smelly andouillette breath. The winning combo revealed. The bourdin noir is another favourite, Alison is all smiles. 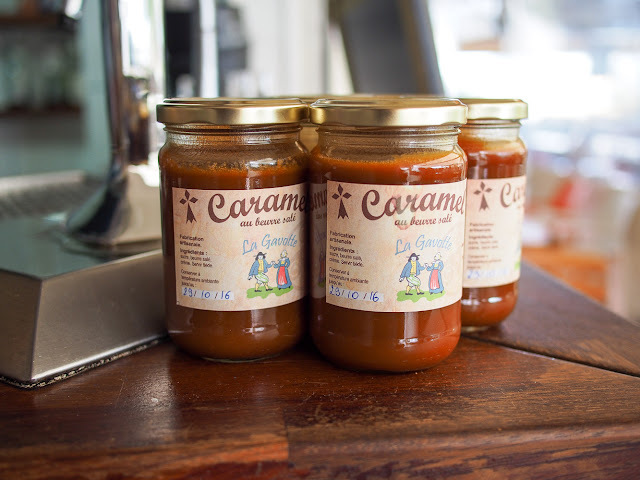 There's house made salted caramel for sale on the front counter, crepe drizzling ready.